With our vast experience in this domain, we have enabled us to serve our clients with a broad array of Respiratory Care Products. Being a quality-oriented organization, we assure our clients that this machine is best in quality. Our vendors’ skilled professionals only utilize fine quality components. Moreover, our offered services can be availed as per the requirements of our esteemed clients. We are Manufacturer, Exporter and Supplier of Breathing Filter BVF/HME Adult/Child. 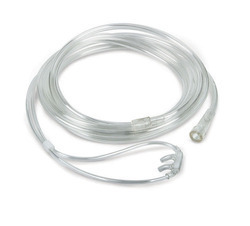 We are Manufacturer Exporter and Supplier of Nasal Cannula. With the help of our experts, we are able to offer Nasal Canula. This cannula is a device used to deliver supplemental oxygen or increased airflow to a patient or person in need of respiratory help. This device consists of a lightweight tube which on one end splits into two prongs which are placed in the nostrils and from which a mixture of air and oxygen flows. The offered cannula is appreciated for their unique quality across the country. This cannula is offered to our client at most affordable rates. Nasal Oxygen Cannula is used for efficient administration of oxygen for greater comfort of patient. Twin Nasal Tips provide maximum freedom to the patient and leaves the mouth free. 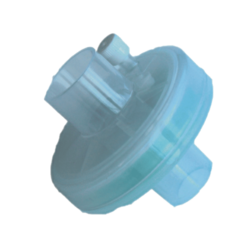 Nasal Tips ensures equal volume of oxygen to both air passage.Manufactured from soft non toxic, medical grade PVC Compound. Multichannel tube ensure regular supply of oxygen if tube is accidently kinked. Proximal end of tube provided with connecter for easy connection with oxygen source.